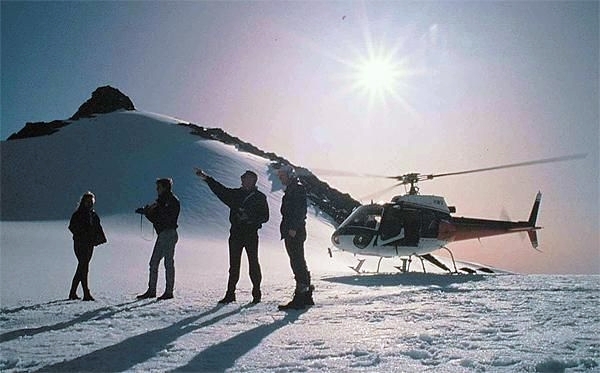 The scenic flights from Franz Josef and Fox Glacier locations will take your breath away as you discover that the stunning views of New Zealand’s National Parks, glaciers, mountains and lakes are always best from above! The rugged West Coast is hemmed between the Tasman Sea and the imposing Southern Alps, making for spectacular contrasts in the surrounding scenery. The scenic flights fly from both Franz Josef Glacier and Fox Glacier villages, with an operating base situated on the main road of each. A 30 minute drive separates the Franz Josef Glacier and Fox Glacier villages. The perfect opportunity to get up close to the glaciers and touch snow. You’ll be captivated as you lift off and fly up and over the Franz Josef Glacier or Fox Glacier and experience the solitude of a landing in this natural alpine wonderland. The fleet consists predominantly of European AS355 Twin Engine Squirrels, and AS350 Squirrels. They are ideal for scenic flights, with an open plan cabin making for excellent views. • Duration – 20 Minutes including snow landing, Flight times are approximate and include your landing. • Sunglasses, sturdy footwear and a camera are recommended!